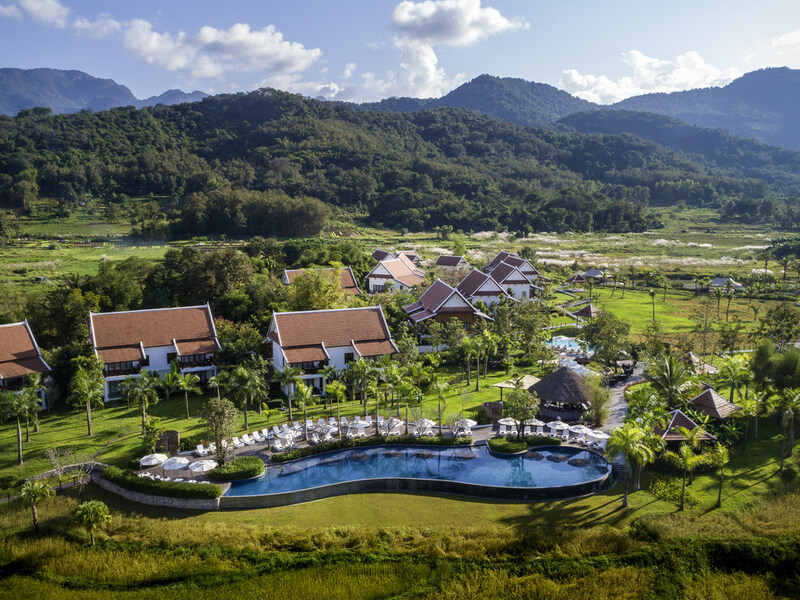 Pullman Luang Prabang is part of the exclusive MyResorts program that provides rewarding resort experiences for Le Club AccorHotels members. Peaceful stay in a cozy and well-designed place in the serene and scenic backdrop. Overall breakfast and buffet food was world class with a very committed and friendly chef greeting and inquiring about any special needs etc. This type of personal touch makes one feel privileged. Similarly a gentleman named Rohan who facilitated our check-in and orientation to hotel and its amenities was very unique and welcome gesture. As an afterthought, it will be nice if lighting arrangement in the bathroom is improved, existing overhead spotlight's angle does not make shave and trimming easy through main mirror and magnifier. Fabulous hotel. Very polite, helpful staff. Superb room. Excellent food at the restaurant. Great setting. Staff and personnel in Luang Prabang are very friendly and accommodating, they always greet us with smiles and ready to help us with all of our concerns. They give us tips and suggestions about the nice places to go. The room is clean and very comfortable and hotel had very nice amenities (gym, shower area, yoga etc). I like that they had free scheduled shuttle service to go to the downtown. We loved our stay at the Pullman in Luang Prabang! The resort is beautiful! We loved that there was multiple pools, including an adults only one. The service was outstanding and the staff were so attentive to small details. The restaurants were delicious - many choices including good vegetarian options. The spa was a highlight as well. We can’t wait to come back! The staff was outstanding in providing services and extended the warm welcome. The ten lead by Mr. Nai and his team members, Ms. Ula, Mr. Vanh and Mr. Penguin. The housekeeper staff assigned to room 103 and 223 was unique above the call of duties. They provided me with LEIs as I was not able to leave my room to enjoy LAO New Year festivities due to heat and smogs. Fabulous staff, high quality resort. Lovely rooms - very clean. A wonderful, relax I'm ng resort. Staff were extremely helpgul and very friendly. The resort was lovely and clean. Nice big rooms. Service, cleanliness, accommodations, food and amenities were “over and above my greatest expectations”. I cannot speak more highly about Pullman Hotels. I will continue to seek them out at all of my travel locations. The staff was excellent!! Received the most wonderful warm welcome, and amazing customer service from all the staff. Would highly recommend this resort to anyone. Overall, I had a very enjoyable experience. The hotel itself is very clean and attractive with smart rooms and attractive decor throughout the establishment. The hotel grounds are very picturesque. Importantly, the staff are extremely polite and helpful (Rohan is probably the most polite and helpful hotel staff I have ever met). The only issue I experienced was that the Internet was sometimes weak or stopped working altogether. This is very inconvenient, especially for people such as myself travelling for business. Amazing attention to detail and beautiful hotel. I was very impressed and satisfied with the hotel and the staff. The interior design and the quality of materials used in the construction of the rooms and the hotel were impressive. I would recommend this hotel! We had a great time there. Every body was extremely cordial and friendly. Rooms are clean and spacious. Food was delicious. We had a great time. Staying at Pullman Luang Prabang was an awesome experience. There is something very calming about staying in a resort built around working padi fields. The rooms are spacious and well-appointed. The food at the restaurant was excellent as well with a wide variety of choices available. Needless to say, service was top-notch and the staff were all extremely friendly, helpful and competent. It was clean and beautiful resort. The facilities and cleanliness was spot on. Well done team. As indicated in the title we wanted for nothing staying here from the moment we were checked in by Moi we were well looked after. The Resort is modern and clean and has ample facilities to do as little or as much as you want to do. I'm an Accor Platinum Member and you truly recognised this in a number of ways - thankyou. The only potential improvement is with the restaurant with some inconsistency with the Food and Service later in the evening with staff being distracted by other duties but otherwise they also were very attentive. Talking of Staff special mention to Managers Sai and Hugo and also Barman Sing who were very attentive. The best of a very good bunch of staff however was Nai who went out of his way to ensure any need was met - this guy is the definition of Customer Service and is an asset to both your Hotel and Accor in general. He would not be out of place at any 5 star Hotel anywhere in the world. Thankyou Pullman Luang Prabang for your very nice resort and exceedingly wonderful Customer Service provided by your staff especially those mentioned above. I only hope that I can come back one day if nothing else but to relax at the Resort. Please Accor please ensure the property is satisfactorily maintained well into the future. Room facilities were great - spacious, with an espresso machine, all the amenities you need. A bit of walking distance from the room to the lobby, but customers can call for a buggy anytime, which usually arrives within 5min. Staff were all friendly and helpful as well. This is a dramatic and yet warm resort. The grounds are striking. The rooms beautifully designed. The staff is attentive and friendly. It was a delicious and varied breakfast brunch. The rooms not room for improvement is the pool maintenance. The service at Pullman Luang Prabang from the time we stepped out of our car till the end was impeccable! It was the best hotel experience stay i have had ever - because i do not stay at such luxury hotels normally but i'm glad i made my first luxury hotel choice with Pullman Luang Prabang! From the free upgrade of room because we were on our honeymoon , to the generous welcome chocolate cake, fresh fruits and candies in our room we loved every moment of it and we stayed in the hotel like 70% of the time of our trip. Even the small touches like serving us with fresh fruits while we were in pool to the friendly staff everywhere we meet them we were greeted politely. This made our stay at the Pullman Luang Prabang the best hotel stay ever! Thank you for the wonderful memories that i will never forget. We booked almost 100 room nights and 1,5 day meeting at Pullman Luang Prabang. The rooms are nice, the hotel surroundings are beautiful. However, staffs are either unprofessional or unhelpful. I had a nice stay with satisfying service at Hotel Pullman Luang Prabang. I would definitely recommend family members and friends to stay at the hotel if they ever visit Luang Prabang.